Despair has been called the unforgivable sin-not presumably because God refuses to forgive it, but because it despairs of the possibility of being forgiven. Being a good steward of your pain.... It involves being alive to your life. It involves taking the risk of being open, of reaching out, of keeping in touch with the pain as well as the joy of what happens because at no time more than at a painful time do we live out of the depths of who we are instead of out of the shallows. The birth of Jesus made possible not just a new way of understanding life but a new way of living it. Through the power that memory gives us of thinking, feeling, imagining our way back through time we can at long last finally finish with the past in the sense of removing its power to hurt us and other people and to stunt our growth as human beings. The first ministers were the twelve disciples. There is no evidence that Jesus chose them because they are brighter or nicer than other people. Their sole qualification seems to have been their initial willingness to rise to their feet when Jesus said, "Follow me." Thus, when you wake up in the morning, called by God to be a self again, if you want to know who you are, watch your feet. Because where your feet take you, that is who you are. I loved rain for making home seem home more deeply, and I suspect that is why, from as far back as I can remember, I also loved those books I read and the people I met in them and the worlds they opened up to me. Like a house in the rain, books were havens of permanence and protection from whatever it was that as a child I needed protection from. To forgive somebody is to say one way or another, "You have done something unspeakable, and by all rights I should call it quits between us. Both my pride and my principles demand no less. However, although I make no guarantees that I will be able to forget what you've done, and though we may both carry the scars for life, I refuse to let it stand between us. I still want you for my friend. ON HER DEATHBED, Gertrude Stein is said to have asked, 'What is the answer?' Then, after a long silence, 'What is the question?' Don't start looking in the Bible for the answers it gives. Start by listening for the questions it asks. Not to love is, psychically, spiritually, to die. To live for yourself alone, hoarding your life for your own sake, is in almost every sense that matters to reduce your life to a life hardly worth the living, and thus to lose it. 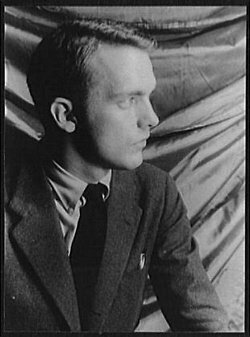 Bio: Carl Frederick Buechner is an American writer and theologian. He is an ordained Presbyterian minister and the author of more than thirty published books.